Claire P. Menard - Rennert Vogel Mandler & Rodriguez, P.A. Claire P. Menard is a member of the firm’s corporate and securities practice group. Her practice is focused on mergers and acquisitions, securities transactions, and general corporate representation. 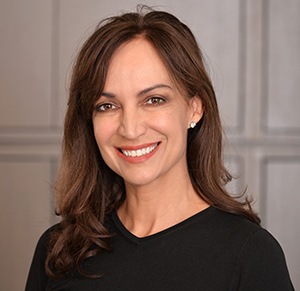 Ms. Menard has represented numerous companies in Florida, nationally and in Latin America in connection with a variety of merger and acquisition transactions, registered and exempt securities offerings and complex domestic and international transactions. She has also advised numerous issuers and their corporate officers and directors with respect to their ongoing disclosure obligations under the U.S. federal securities laws and compliance with their obligations under the rules of the U.S. exchanges on which their securities are listed. Ms. Menard regularly represents private and public companies in merger and acquisition transactions including the structuring, negotiating and documenting of such transactions. A significant portion of her practice is devoted to general business counseling, including business formations, acquisitions and dispositions, and advising corporations, their officers and directors, investment banking firms and investors on general corporate governance matters. Corporate counsel and disclosure for corporations engaging in initial and follow on public offerings as well as reverse merger transactions. Acquisition counsel for domestic and international business combination transactions. Securities counsel to corporations engaging in venture capital and private equity financing transactions. Disclosure and general corporate counsel for several publicly reporting corporations. Joint Venture counsel for international joint venture transactions.